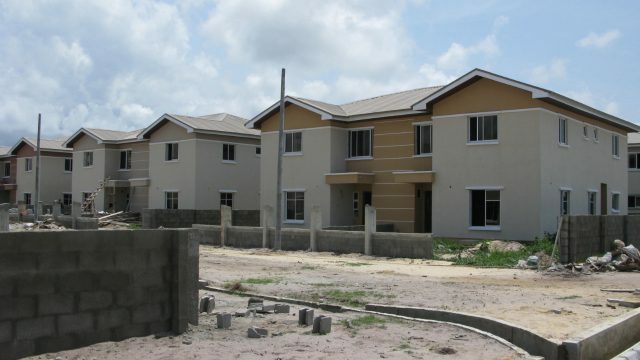 Nonso Okpala, the Chief Executive of VFD Group, a financial services company, has identified absence of mortgage facilities as a major challenge facing housing delivery to the middle class in Nigeria. Okpala told journalists in Lagos on Tuesday that it was regrettable that financial institutions in Nigeria were not giving out mortgage loans. He said mortgage loans were being constrained in Nigeria by traditional issues, high lending rates and land title problems. Okpala said his company was ready to break the jinx as a major focus of his group was to provide mortgage loans to the middle class to enable them own houses. He said the VFD group was passionate about delivering houses particularly to the middle class at affordable rates. Okpala, leading a team of young professionals in the financial sector, said the firm was already developing a property in Abuja and another in Lagos as part of the company’s commitment to housing delivery. He said his company was working out ways to get funding that would be directed at the members of the middle class for them to own their houses. He said the poor state of the Nigerian economy should not pose survival issues to businesses that were focused, transparent and efficiently run. He said the group which started as a lending outfit about 10 years had diversified into many areas like micro finance, farming, asset management, bureau de change and sale of vehicles, among others. “Over the years, people who believed in us have been providing the funding. We are a group of 20 investors subjected to world class service delivery. “The future holds great prospect for us and there is the possibility of seeing more successful businesses in Nigeria,” he said.